Embark on a perilous journey to help Ayo fetch water for her family. Overcome challenges and enemies as you explore sub-Saharan Africa in a daily daunting chore, gaining skills and wisdom along the way. Experience Ayo's harsh environment, as she confronts her fears and braves the unforgiving drought in this adventure platformer. 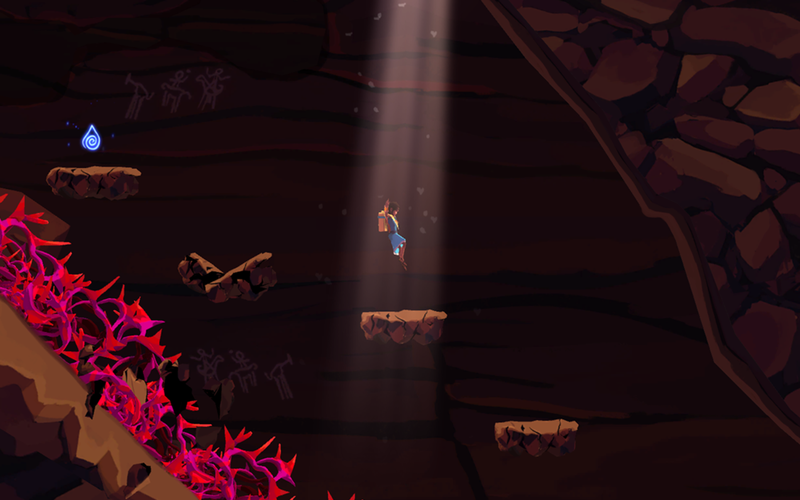 "With an artful beauty that only indie games can truly capture, Ayo carries players into the world with stunning animation, truly beautiful music, and an inspiring story of the humanity of all." Ayo: A Rain Tale sheds the light on a young girl who regularly carries her tough water fetching duty with courage. Ayo’s struggle is shared by many girls in Sub-Saharan Africa who live in communities that have no access to clean water. The daily burden of fetching water is carried by women and children, who go on journeys to distant sources and return home shouldering a 40-pound container filled with water for their families. With no time left for education, many women are denied the opportunity to develop themselves and their communities. An estimated 200 million hours are spent each day on water-fetching around the world , leaving both girls and women with little opportunity to break this cycle. © 2018 Inkline Ltd. All rights reserved © Apple and the Apple logo are trademarks of Apple Inc., registered in the U.S. and other countries. Steam and the Steam logo are trademarks and/or registered trademarks of Valve Corporation in the U.S. and/or other countries. Google Play and the Google Play logo are trademarks of Google LLC.